It's often said "When in doubt wear red" but it takes quite sometime to master the art of applying a red lipstick. I am not saying that I am perfect at it but I have learned quite a lot. So, here I am sharing my tips and tricks to apply red lipstick perfectly. 1. Always exfoliate your lips for smooth application. Use a DIY Sugar Scrub or Lush Bubblegum. After exfoliating apply some lip balm and let it be till you do the rest of your face. The above pictures are without foundation but you can apply some foundation on your lips as well. 2. Close your mouth and smile a little. Now outline your upper lips. 3. Keep smiling and outline your lower lips as well. 4. Fill in with the lipliner. 5. Apply your favourite lipstick evenly with the help of a brush or directly. 6. Once again line your upper lip with a lip liner. 7. And the lower lip as well to make it look neat. 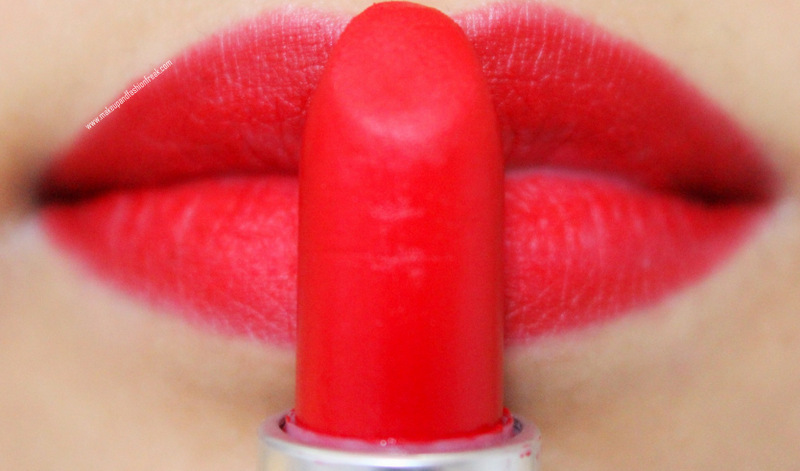 ~ If you want your lipstick to last longer, apply one coat, blot the excess on a tissue and reapply. ~ You can highlight your lips by applying some highlighter on your cupids bow and on the centre of your lips. ~ If you want your lips to look fuller, apply some clear gloss on the centre of your lips. ~ Apply some concealer near the edges to tidy things up a bit. 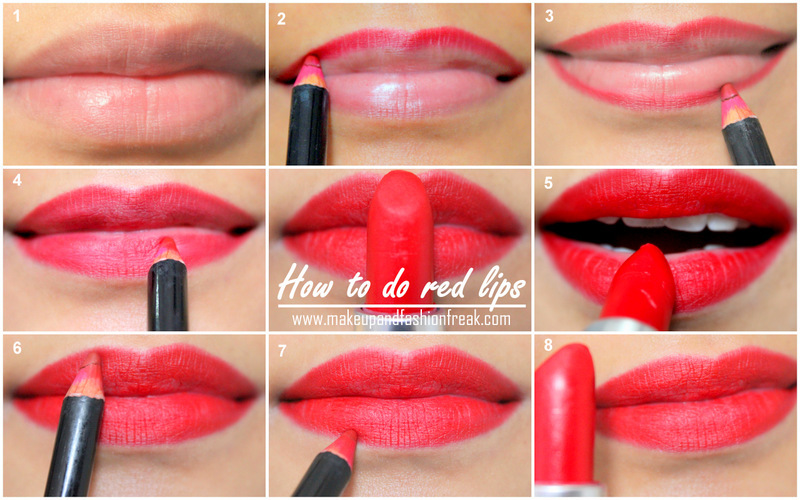 Hope this tutorial helps you to achieve your perfect red lips. Do let me know if you have any additional query in the comments below.